The DreamLab app operates only when a phone is fully charged and charging, and analyses data for breast, ovarian, prostate and pancreatic cancers. The app then sends the information back to the Garvan Institute – one of Australia’s foremost genome mapping organisations. CEO of Research Australia, Nadia Levin, said the DreamLab project was a great example of how technology experts in diverse fields are helping advance health and medical research. 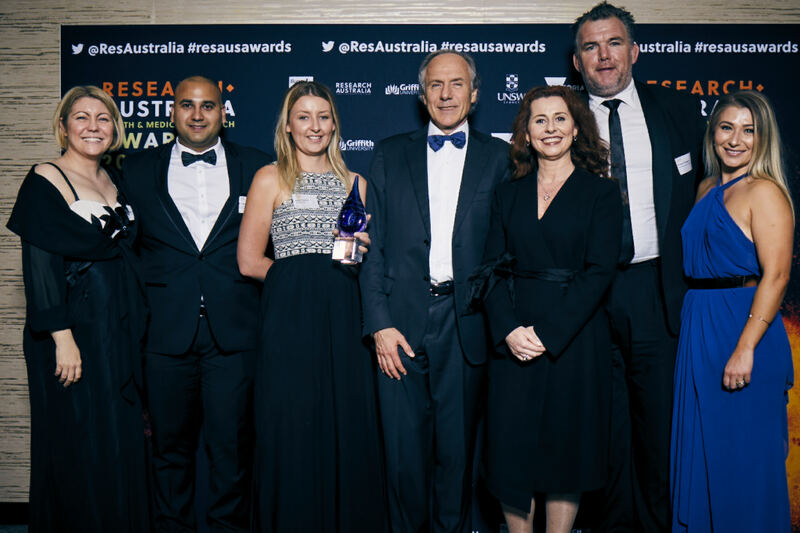 “Data is a key pillar of all health and medical research, and our Data Innovation Award is about recognising the potential of outstanding contributions in the health and medical research sector,” Levin said. “DreamLab is an example of a simple and ingenious new solution to utilise an everyday device and turn it into a supercomputer of sorts – assisting researchers and enhancing research outcomes. After reaching more than 70,000 downloads, the ordinary people who use DreamLab have helped collectively process data at speeds of up to 1,500 faster than Garvan’s in-house computer and has so far slashed nine months off the time needed to complete this vital research. Professor David Thomas, Director of The Kinghorn Cancer Centre and Head of the Garvan Centre’s Research Division says the impact of the app on their research has been highly significant. “There are finite supercomputing resources available at Garvan, and the processing power from DreamLab has already alleviated a bottleneck of research and sped up the process of genetic information analyses,” he said. “If we can reach 100,000 users, this project could be completed three years faster than originally anticipated, which in turn will deliver tangible benefits to patients sooner. “This remarkable collaboration combined Vodafone’s network power and technical know-how with the Garvan Institute’s research and algorithms to not only fast track cancer research, but open the minds of Australians as to how they can show support for medical research by doing what they do every day – charging their phones,” said Leonie Walton of the Garvan Research Foundation. Vodafone Foundation’s Alyssa Jones said she is proud to see the positive contribution mobile technology is having on cancer research. “Almost every Australian has a heartbreaking story to tell about cancer and we all want to play a part in the fight against this disease and now, with more smartphones than people in this country, we have an opportunity to make a tangible difference,” said Ms Jones. The Research Australia Health and Medical Research Awards will be held on Wednesday 16 November. Tickets available here.